(Two)Ninety-Nine (299/365) – Annoyingly Boring? This guy is still kicking around from Day 99. 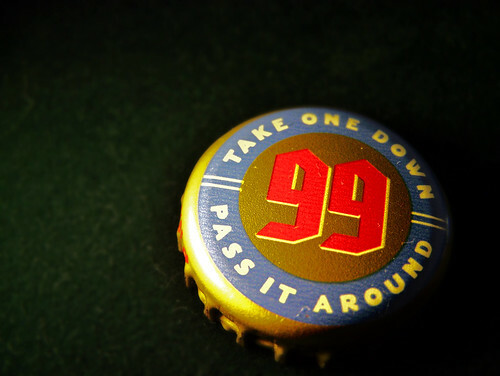 The beer, even the bottles are long gone, but this one cap remains. If you are new here (or not) and like what you see, why not subscribe to my RSS feed, or subscribe to email delivery of my posts. I post a new photograph every day. You won’t get bombarded with email, just one a day each day that I update the site. Click here if you’d like to see a sample of what the email looks like. Rupe might have to nab that photo for his ownsome …..
hard to believe that was 200 days ago.